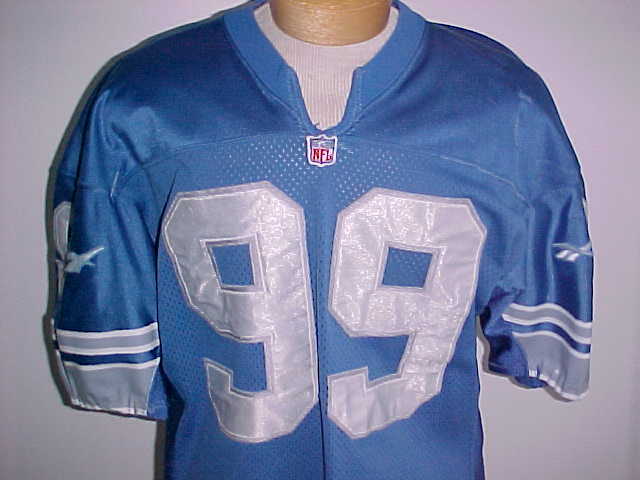 This is a 1994 Apex jersey with a "94" season tail tag. 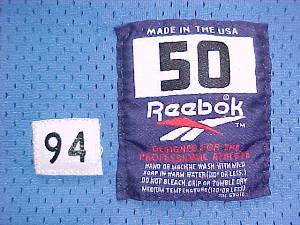 It is evident where the Apex triangle shape sleeve logos and the NFL 75th Anniversary patch were removed, for re-use in 1995. 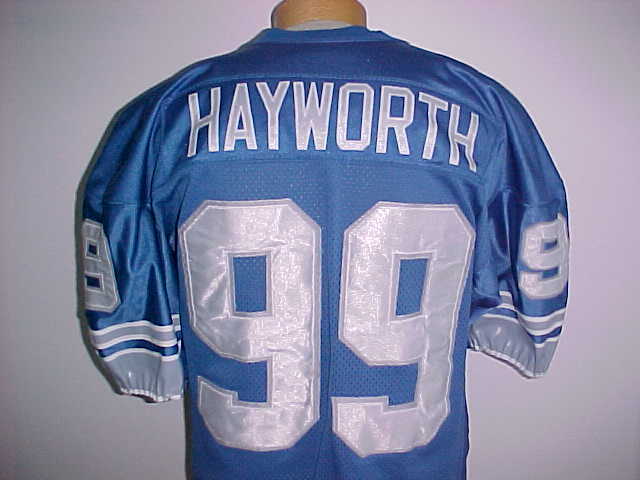 Heavy game wear, numerous team repairs, customized collar.